Sometimes artists come up with concepts that look like they could make it in the real world. Their sketches keep just enough of what we know and are comfortable with to be believable. 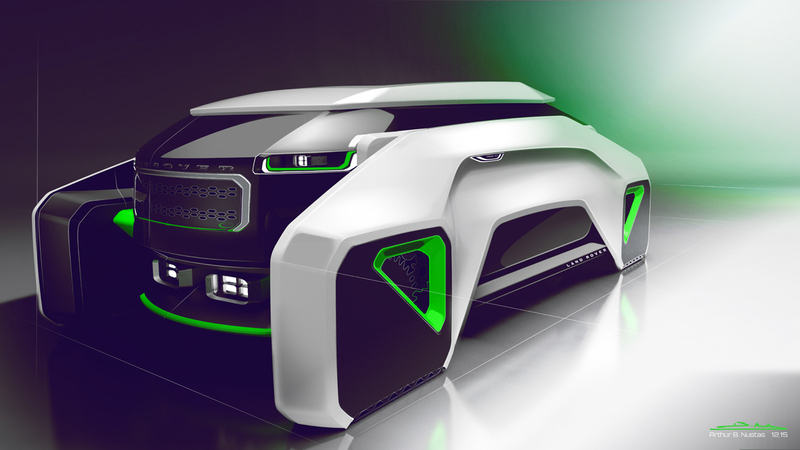 Other times, like with this Land Rover RES-Q concept art, it looks like something that could only exist in our imaginations. What you’re looking at is the work of Arthur B. Nustas, a rendering artist out of the UK. It’s just one of many designs he’s come up with for everything from Ducati backpacks to Aston Martins to Cadillacs. 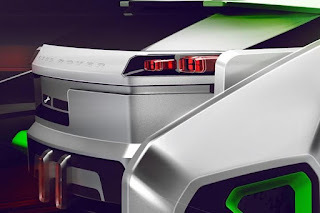 You can see a few of the classic Land Rover design elements in there, like the front grille and the squared off rear. Otherwise, there’s no way you’d know this was a car, much less a Land Rover. 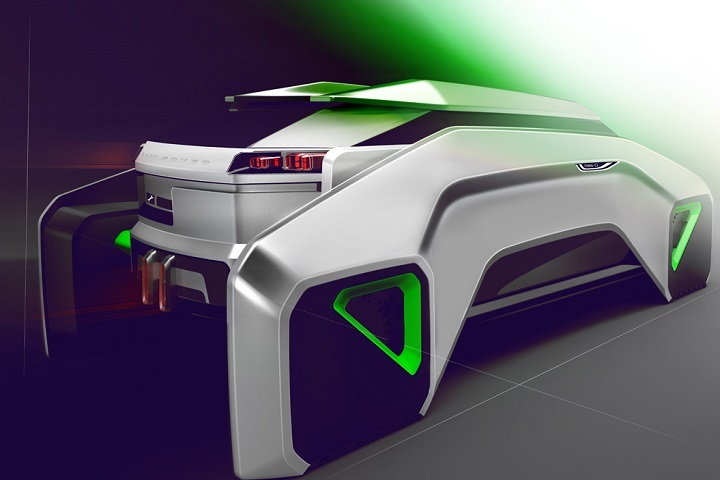 What he’s designed looks like it’s intended to tackle a ski slope. The name implies the same and makes this something he envisions coming up the ski slopes when you’ve managed to make a mess of things and hit a tree. If you saw this coming for you today, you’d end up thinking you had head trauma and were seeing things. Aside from its extremely cold temperatures, unbearably thin atmosphere, and its all-around shroud of complete mystery; perhaps the biggest obstacle facing a journey to Mars is the sheer amount of time it would take to get there. Though exact timeframes tend to differ, a 260-day trip to the red planet seems the closest to a consensus among those knowledgeable of the journey, meaning it would take nearly nine months to reach its orbit. 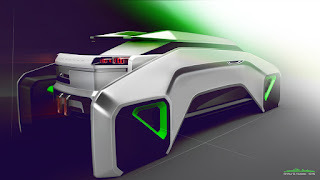 However, according to UC Santa Barbara physics professor Philip Lubin, by making use of directed energy propulsion (i.e. 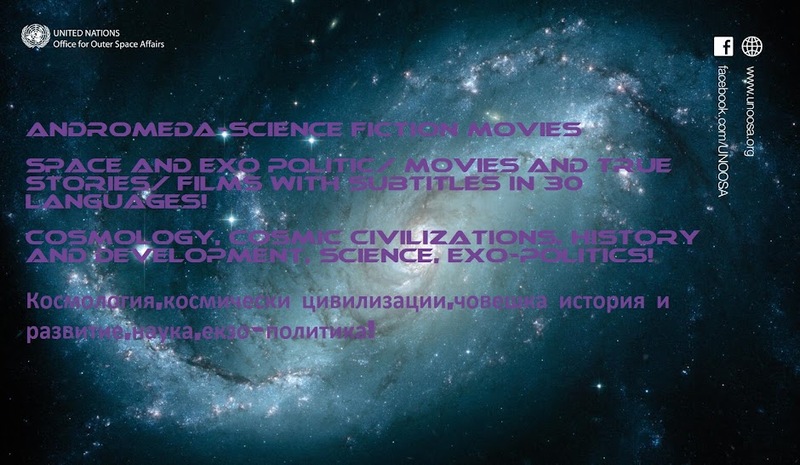 lasers) it might be possible to reach Mars in a fraction of the time it would take to watch The Martian. While Lubin’s idea of a 30-minute trip to Mars first burst on the scene during a NASA Innovative Advanced Concepts (NIAC) symposium last October, the concept was featured by NASA 360 in a recent video. Though two-minute video hardly delves into the exact science of achieving such an endeavor, Lubin published a detailed, 52-page explainer in the Journal of the British Interplanetary Society. Amid the many paragraphs of scientific jargon, experimental equations, and detailed set of planning, Lubin maintains this isn’t some far-off idea, but rather, something that’s attainable this very second. In essence, Lubin asserts that by firing a laser at a spacecraft, one would feasibly have the ability to speed that spacecraft to a significant fraction of the speed of light. What this means is that scientists would point a powerful, Earth-orbiting laser (think tens of gigawatts of power) at a spacecraft equipped with a laser sail. By focusing the beam squarely on the sail, the craft would have the ability to achieve frictionless acceleration in space, allowing it to reach a sizable percentage of the speed of light in a matter of minutes. Lubin’s theory trades fuel propellant for photonic propulsion and appears ready to take the EmDrive head-on. But how close is this to the truth? Like any announcement of this nature, the immediate response to Lubin’s claims was first met with overwhelming excitement and pure awe. Of course, figuring out a legitimate way to turn a 260-day journey into a 30-minute jaunt deserves all the attention it gets. However, there are heaps of speed bumps Lubin can’t just chalk up as plot holes like Christopher Nolan and Interstellar. To Lubin’s credit, he’s addressed a number of the most critical questions posed by his more eagle-eyed followers. Because deciphering a 52-page scientific journal isn’t always the most appealing way to pass the time, here are a few problems facing this innovative theory and how Lubin’s attempting to solve them. How would the craft slow down? This is perhaps the most pressing question facing Lubin’s theory, one even he admits is a “very difficult challenge.” If a spacecraft (with or without astronauts) ends up reaching anywhere near 26 percent the speed of light (roughly 174.3 million miles per hour) slowing that craft to enter the orbit of Mars would take a sizable dissipation of energy. Lubin poses such solutions as using a star’s photon pressure or harnessing stellar wind, however, he quickly points out that none of these options appear up to the ultimate task. Moreover, he admits that comprehensive trials and simulations are required before a suitable solution will be discovered. 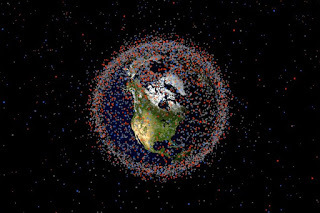 What about all that space junk? Lubin vaguely addresses this quandary, bringing up the eventual accumulation of interstellar and interplanetary dust and its effect on the craft. After showing off the equation he used to calculate the possible amount of dust accumulate, Lubin concludes that “the total energy of impacts is negligible to the kinetic energy of the wafer.” He continues by saying “it is NOT negligible in total energy delivered to the wafer (i.e. damage to the wafer) but it is not all delivered at once and the face on case is the worst case.” In other words, a small accumulation of dust won’t significantly impact the KE of the craft nor does Lubin think it will damage it. 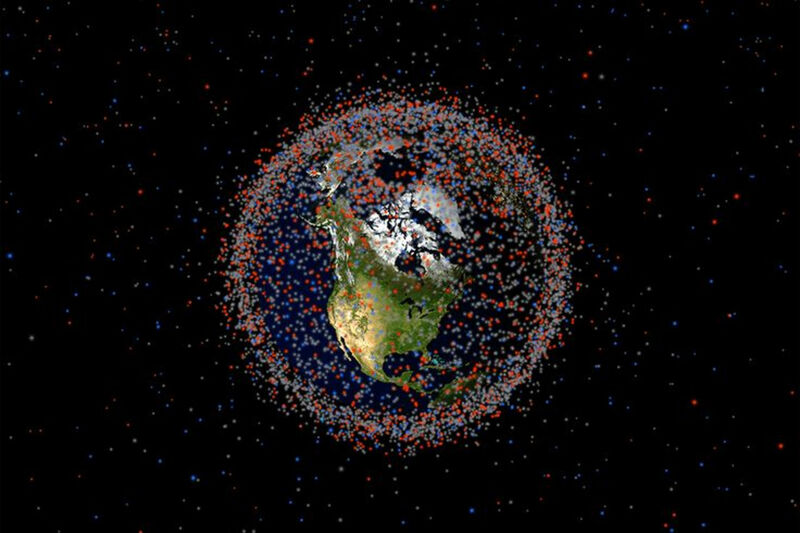 Obviously, this only tangentially addresses the larger concern of space junk though if something of this magnitude were to move forward with production, this will undoubtedly be one of the first problems solved. Solutions such as an ablation shield or magnetic field could be possible resolutions, however, the inherent speed could be affected by the addition of anything other than what Lubin originally stated. Would time dilation have a significant effect? 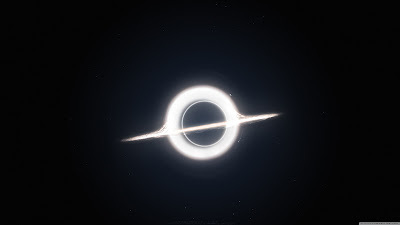 In director Christopher Nolan’s 2014 science fiction opus Interstellar, a group of astronauts perilously make a jump to a far off galaxy by willingly flying into the center of a seemingly supernatural wormhole. As they traverse to a far-reaching outpost of the universe, the time they experience begins to drastically slow compared to what’s being experienced on Earth. As the film enters its final act, Matthew McConaughey’s character is eventually reunited with his daughter aboard a massive space station. Though McConaughey has yet to age much more than a few years (roughly the length of his galaxy-spanning mission), his daughter has lived a full life, has a head of gray hair, and is on the edge of succumbing to old age. Sure, this series of events happened in a big-budget Hollywood film, but time dilation isn’t just some far-fetched film industry plot piece; it’s a legitimate physical phenomenon. For instance, astronauts aboard the International Space Station experience time a bit slower than those on Earth, however, the effects are minimal. For any six-month stay on the ISS, astronauts effectively age roughly 0.005 seconds less than people on the ground. Where time dilation would really begin to take effect is when something (or someone) starts traveling closer to the speed of light — i.e. Lubin’s directed energy propulsion theory. If a craft was actually capable of propelling a crew of astronauts at even 26 percent the speed of light, time dilation would have a notable effect on those involved. Though it likely wouldn’t mean that a crew would leave for Mars, get there in 30 minutes, and decades would pass, it would be significant in the fact that time dilation of that nature is unprecedented. 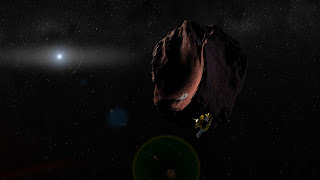 Lubin does point out that the first step (after years of training and simulations) is to use an unmanned probe, so manned missions are likely decades away. The paper acknowledges that the technology is completely scalable, so manufacturing a craft large enough to fit an astronaut (or three) isn’t out of the question. This would, however, affect the propulsion necessary to make the journey, which would also affect the amount of time it takes to get to Mars. Compared to the controversial (yet similar) EmDrive technology, Lubin’s directed energy propulsion system is something scientists have the ability to physically test in real time right now. The professor even goes so far as to provide a necessary timeline for developing the tech, how technology would need to mature during the timeline, and a step-by-step breakdown of testing. Unsurprisingly, he’s incredibly fervent in his belief that this is something wholly attainable and that it deserves immediate scientific attention. Whether or not the theory gains traction is yet to be seen, but the fact it was picked up for a video series by NASA 360 certainly bodes well for its advancement. As NASA continues to move forward with its own plans on visiting the red planet, the topic of how to efficiently and effectively get there is likely to be a hot topic of discussion. If Lubin proves capable of filling all the sizable gaps in his method, perhaps this won’t be the only time the agency enjoys collaborating with him. 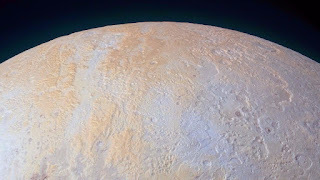 The New Horizons spacecraft took this high-resolution shot as it approached the icy world on July 14, 2015. We're only seeing it now because the robot has a small antenna and is speeding away from our solar system at about 32,000 mph. In fact, it could take until the end of 2016 to transmit all of the photos it took before, during, and after its fly-by. 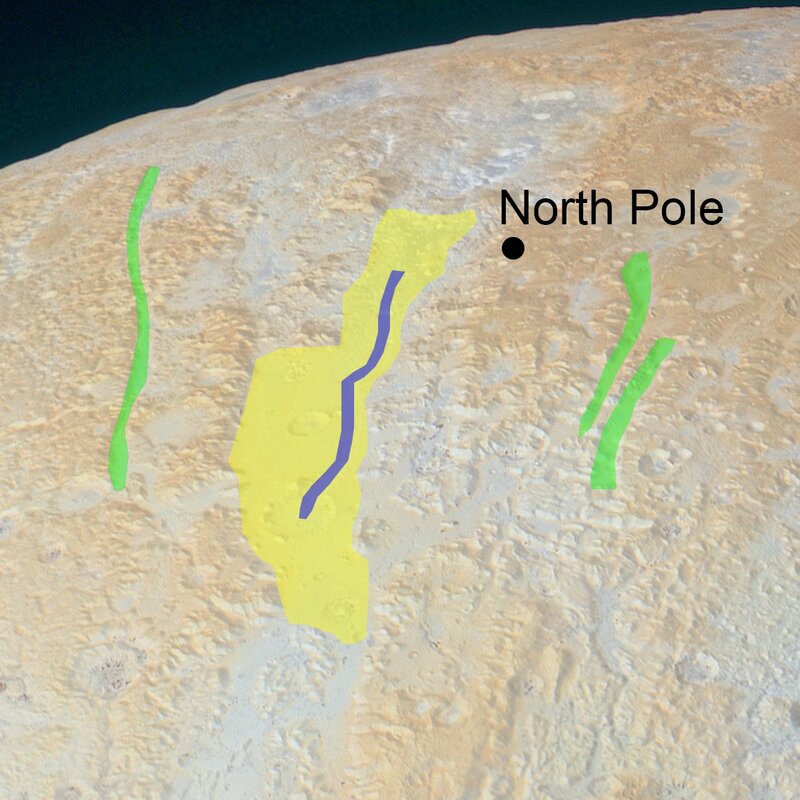 "Pluto's north pole is criss-crossed by crazy rugged canyons and is covered in heavy methane snows," Stern told Tech Insider in an email. "The color of the snow varies from a yellowy hue near the pole to lighter grey-blue away from it." The yellow tint on the surface (note: not NASA's highlighting) might indicate older methane snow that's been pummeled over the millennia by solar and cosmic radiation. The blue-gray color might be younger methane snow that's seen less exposure. 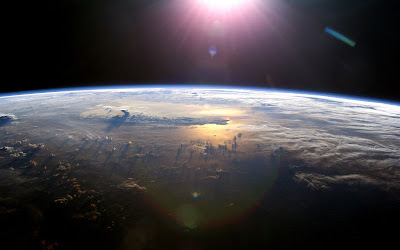 You can really start to make out those crazy canyons, craters, plateaus, and shades of radiation-blasted methane snow. In fact, NASA says these kinds of features are so unusual they are "not seen elsewhere on Pluto." The green squiggly lines to the east and the west of Pluto's north pole are narrow canyons. That yellow patch is a very large canyon, at 45 miles wide, with a "winding valley" running through the middle (shown in blue). Contrast that to the Grand Canyon, a geologic feature on a very dynamic planet (aka Earth) that is somewhere between 6 million and 70 million years old. Primarily, that Pluto is getting weirder with each new photo scientists glimpse. For one, it has a strange mix of very ancient and also very young features. Second, it's not some static frozen ice ball; it was and possibly still is a very active, dynamic place. The canyons, for example, may have been formed by tectonic plate-like movement millions of years ago. 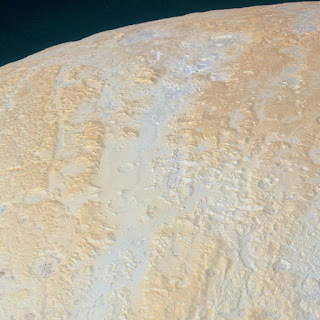 There's also this, Stern wrote: "Buried in those polar images are bound to be clues to Pluto's past climates!" Basically, Pluto may have also had a very busy atmosphere — even though itsvery thin and wispy right now. That's pretty dynamic for a tiny planet that's minus-387 degrees Celsius and has no running water or other liquid. We can't wait to see what else New Horizons' photos of Pluto reveal as they're beamed back to Earth.